That whimsical cat is back with all his antics. 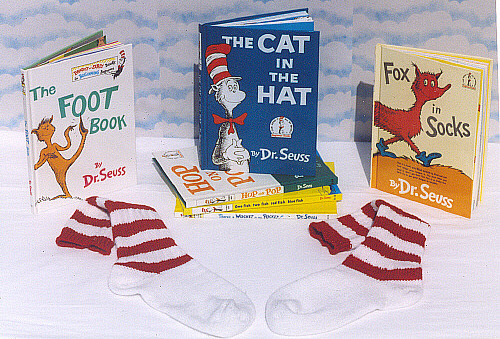 Relive the joy of Dr. Seuss in these original "Cat in the Hat" stockings. Knit�in 100% new wool, these socks are�a true delight for�fans of all ages.��Socks are available in all sizes and lengths.� Place your order with us today!